Gro-Aut Solutions began with a desire to help people in a way she knew how, that creates hair products that produce longer, thicker, and healthier hair. Every product from Gro-Aut is made from an all-natural, patent formula that Lavonda, aka "Ms. Gro-Aut", created. 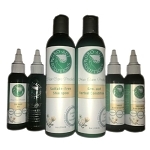 These products were created out of the owner's own personal hair problems, frustrated that current products on the market weren't working, she set out to create her own product that would help her hair, hence "Gro-Aut" was born. 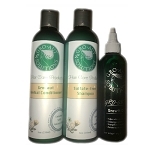 We offer a wide selection of hair care products, but our hair kits are always a customer favorite. Shop from six hair kits for quality ingredients and great results. The Hair Regime kit helps promote long, healthy hair and comes with seven Gro-Aut products, including four different kinds of oils, two shampoos and a conditioner. The second is the Gro-Aut Hair Regime Kit, which helps promote longer, thicker hair and contains six products; four oils, one shampoo and one conditioner. The third kit is the Gro-Aut Sulfate Free Kit, which doesn't just help promote longer and thicker hair, but also contains no sulfate, which can damage a person's hair. This kit contains a bottle of shampoo, bottle of conditioner, and a bottle of a Gro-Aut hair oil of the customer's choice. The Gro-Aut Hair Care Kit is the fourth kit offered by Gro-Aut; it contains a bottle of shampoo and conditioner, along with a bottle of Gro-Aut hair oil, this kit is designed for those who want to achieve longer hair. 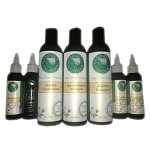 The Healthy Hair Kit, which promotes stronger, healthier and longer hair. 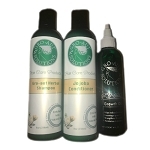 This kit includes a bottle of shampoo and conditioner, along with a bottle of Gro-Aut hair oil. Our latest addition, Gro-Aut Orange Blossoms Rejuvenating Hair Growth Kit nourishing effect helps to restore hair to optimal health with rejuvenating results after just one use; it contains a bottle of our sulfate free and paraben free Orange Blossoms shampoo and conditioner, one bottle of Gro-Aut hair oil, and one bottle of our Gro-Aut hair serum split end treatment. These six kits range anywhere from $30 up to $60, depending on the product. 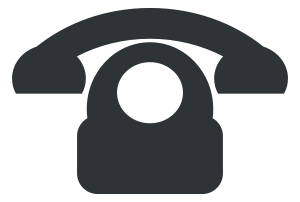 To use these products there is a specific set of instructions that come on each bottle on how to properly use the products to their full potential. Lavonda also has designed a hair regime of which she follows herself which help bring the products to full potential.